Posted in: Media Release, Missing. Tagged: Guerra. 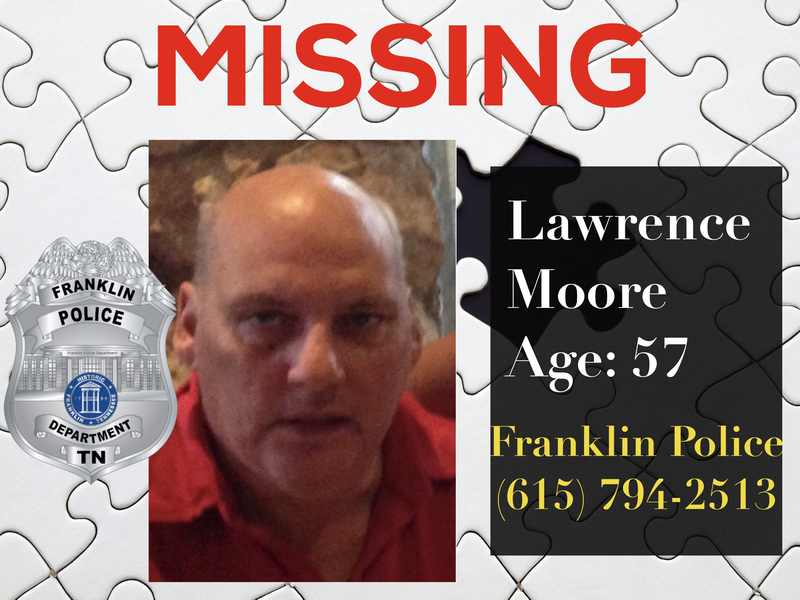 Franklin Police are asking the public to call with any information they may have about a missing man who was last seen on August 27. Lawrence Moore, who is 57-years-old, disappeared following an argument with an acquaintance. Detectives are concerned that he has not been seen or heard from since. Moore’s 2005, gold, 4-door Kia Spectra is also unaccounted for.